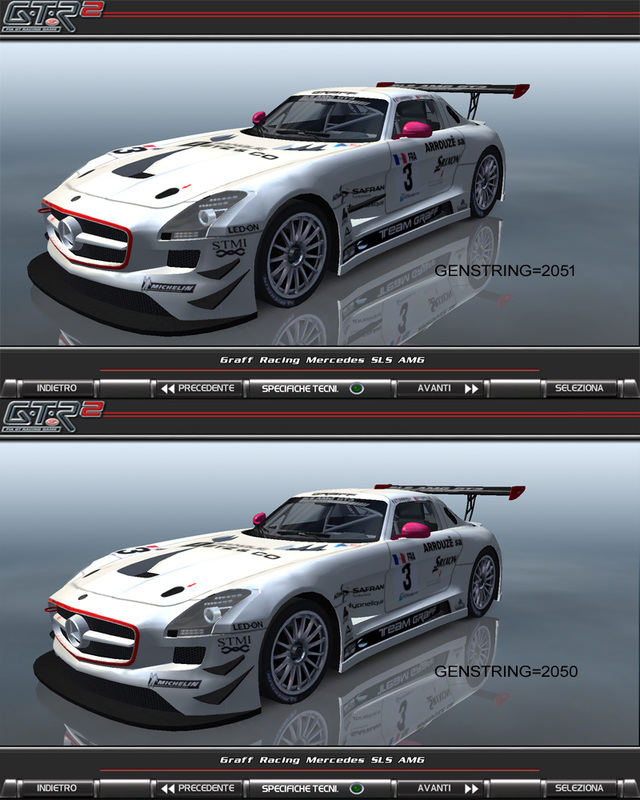 [GTR2] Lisgo Modding Teams "Mercedes SLS AMG GT3" Released! The modelling process has started last autumn and it take all the winter, the spring and a part of the summer. 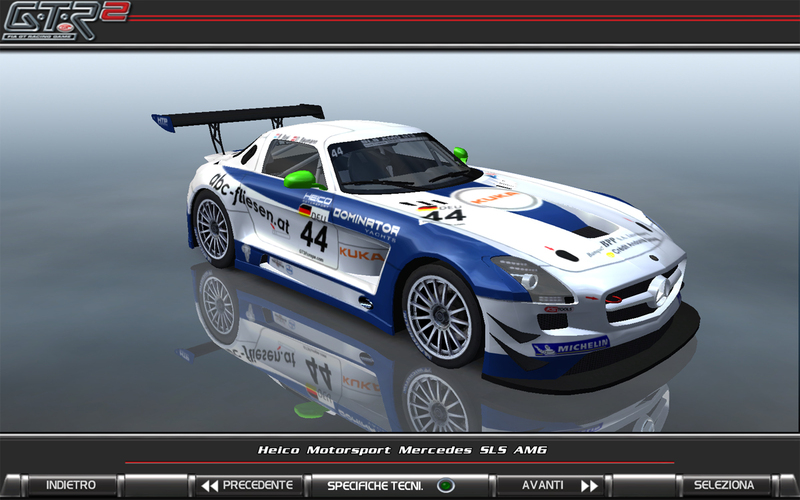 The author is Fabrizio "Icarus17" Suraci, at his first experience as 3D modeller. The rather complex design of the german car, particularly advanced in terms of aerodynamics to maximize the downforce, has required long hours of work! The great precision in the modeling of fine details, both in the bodywork (vents, moldings, grilles, vents, headlights, etc) both in the cockpit (steering wheel, dashboard, roll bar, etc.) has led to a good result. 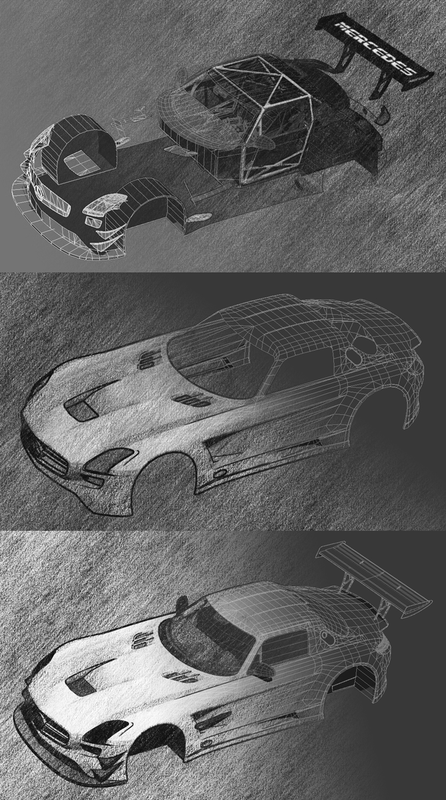 All the development process took place under the careful control of Armando "Cat" Ortenzi, also responsible for mapping and porting in GTR2 ambience. 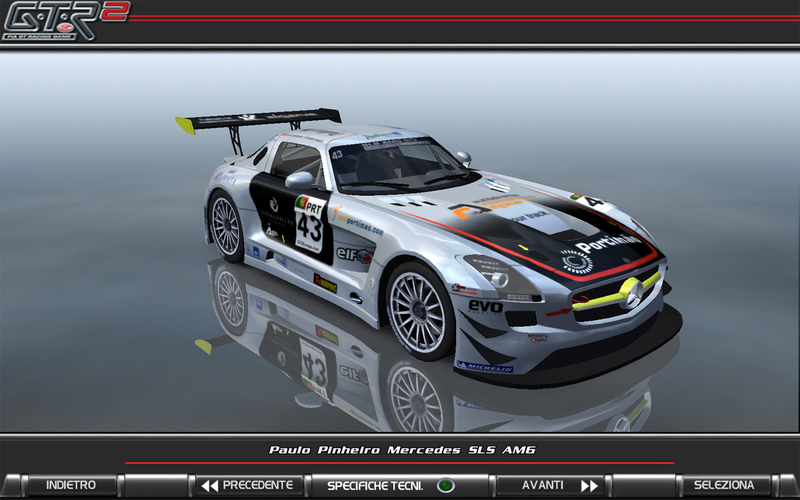 The physics of the car has been developed by me and a great number of test has been made by Gavino "Ayrton4_94" Pintus. The aim was to give a physics as credible as possible to this monster of 1340kg of weight, ballasted by FIA with other 25kg for the b.o.p.) 6208cc of displacement, more than 500Hp of power and 600Nm of torque (with plate restrictors). The sounds of the 90° V 8-cylinder front-longitudinally mounted were developed by Richard "Mildrew" , who has achieved an impressive result. 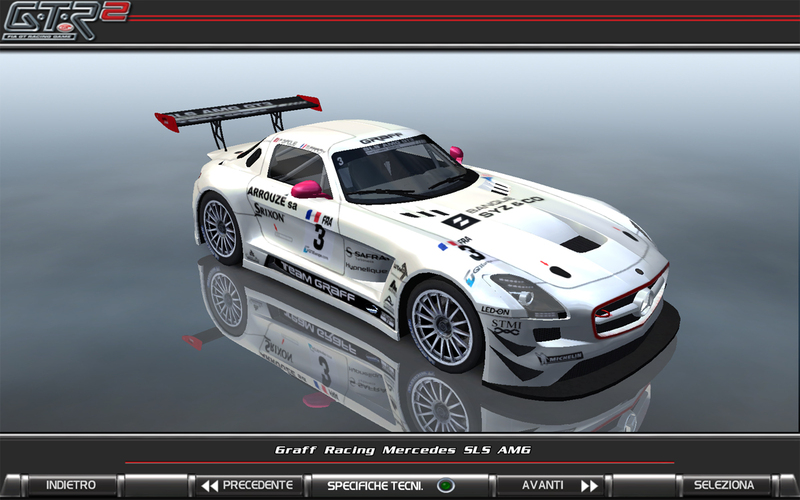 Skinning process has been developed by Peter Edding (Heico Motorsport and Paulo Pinheiro), Giaserg (Gravity Charouz Racing) and Lisgo Modding Team (Team Graff). Another great help has come from Niklas Vonhausen and die_Locke for car's specs, in particular for the weight distribution. 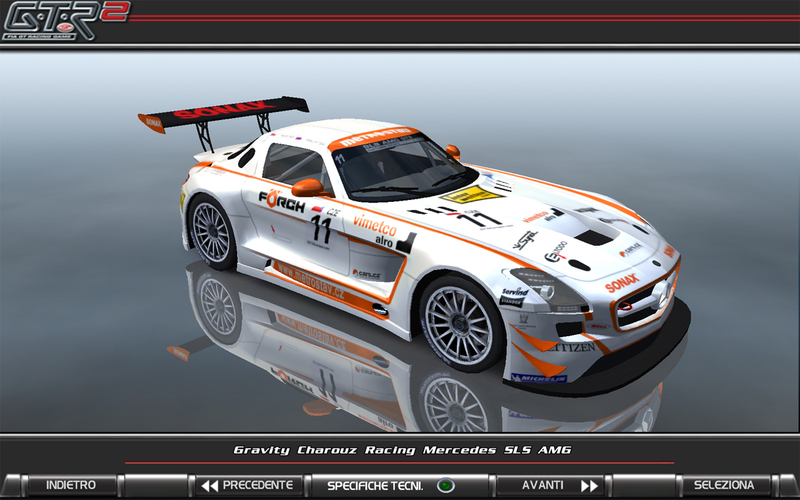 It's time to unleash the German beast on the track, have fun! 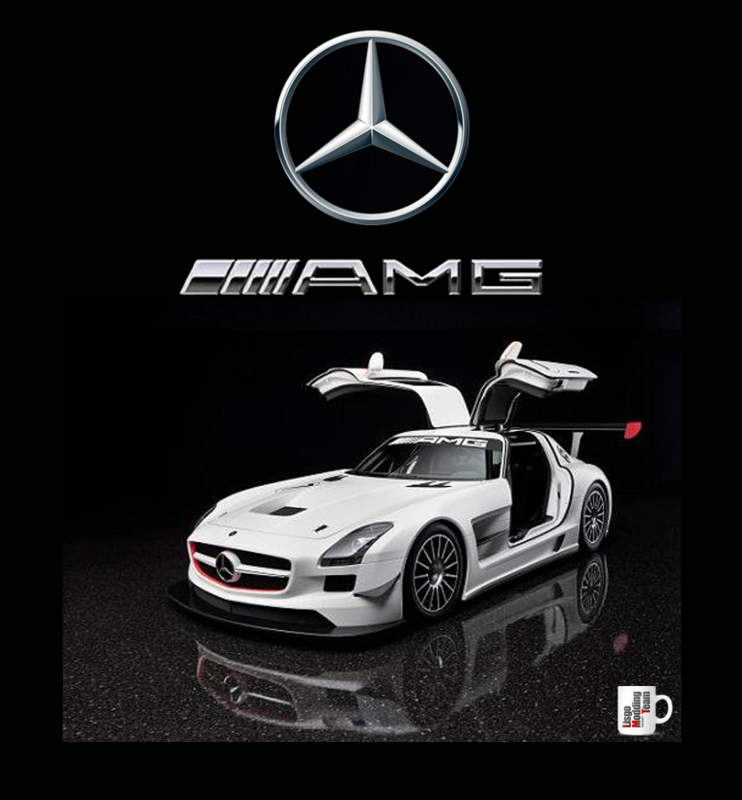 Es gibt ein grafisches Update zum SLS. Mal sehen wie viel besser es nu is!